Contact the AA for free on their 24-hour freephone number 0800 88 77 66 to request roadside assistance if your car has broken down, regardless of whether you are a member. They can repair several faults by the roadside including flat batteries, damaged tyres and fuel problems however if they are unable to fix the problem they will tow your vehicle to your intended destination. Alternatively if you have broken down in Europe you can call AA-affiliated mechanics by dialling 00 800 88 77 66 55 however please be aware that unlike the UK service this is not a freephone number and the exact charge will depend on which EU country you are calling from. Contact the AA on their membership support phone number 0343 316 4444 to get breakdown cover for your car, to renew your membership and to get new copies of your policy documents. You should also phone this helpline to update your account details if you have purchased a new vehicle or you have changed your home address. Furthermore if you are no longer satisfied with the breakdown cover options offered by the Automobile Association (AA) you can dial this number to cancel your policy. Lines are open 8am-8pm Monday-Friday and 9am-5pm Saturday so you will be unable to join the AA membership services on Sundays as well as bank holidays. Calls are charged at the equivalent rate as calling local 01 and 02 area code numbers in the UK, which means you will usually pay a per-minute fee alongside an access charge. However you can still effectively contact the AA for free using this helpline if your provider has allocated free inclusive minutes on your monthly tariff as these can be used on all national 03 helplines. Phone the AA on their vehicle insurance contact number 0370 160 0138 to get a quote for your car, van or motorbike cover. Here you will also be able to renew your insurance and add another car to form a new multi-car policy which may give you a discount on your monthly premiums in comparison to two individual policies. Similarly if you are eligible to get a no claims discount off the cost of your premiums due to your safe driving record you can call this helpline for advice on how to submit proof. If you need to make a claim on your car, van or motorcycle insurance policy please examine the following table to find the correct contact number. Contact AA tyres for free on their customer support phone number 0800 009 3528 to purchase new tyres for your vehicle, to find your nearest fitting centre and for advice on what profile of tyre you need for your car. If you are shopping on a budget you can also enquire about purchasing second-hand tyres to fit to your car or van. They also have a comprehensive database on vehicles so you can call this freephone helpline for free advice on what pressure you should pump your tyres to. Contact AA Cars on their local-rate telephone number 01920 252 209 to buy a second-hand vehicle and to check the previous history of a car to ensure that it hasn’t previously been written off. 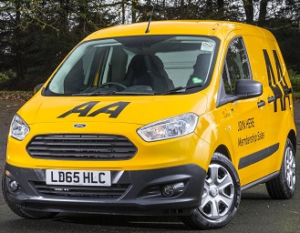 The AA offers a wide range of second hand cars via their affiliate dealers so simply call them to inform them of your budget, seat number requirements and desired engine capacity. Moreover if you are buying a vehicle from an unknown third party you can dial this number to book an AA inspection whereby an engineer will examine the car on your behalf to identify any faults. Contact the AA driving school for free by dialling their freephone number 0800 587 0087 to book a lesson, for intensive courses before your test and for refresher lessons if you haven’t driven a vehicle in a while. You should also call this helpline to reschedule a lesson and to change your desired pick-up location if you have moved home. Alternatively please examine the table below for information on how to become an AA driving instructor, depending on whether you have passed the requisite qualifications. The customer service team for AA home insurance can be contacted on their UK phone number 0370 606 1617 where policyholders can add valuable items to their contents cover, renew expired policies and notify the broker that they are moving home. New customers can also call this helpline to get a quote for their home insurance, remember to submit accurate information so that your policy isn’t invalidated when making a claim. On that note please closely examine the table below to identify the phone number you need to call if you suffer a house emergency such as boiler failure, flooding or fire. Contact AA pet insurance advisors on their national telephone number 0330 102 5741 to learn about the available cover options for your pet, to add another cat or dog to an existing policy and to get a quote on exotic animal cover. Moreover you can phone this helpline to find an affiliated pet-sitter in your local area so that you do not have to put your pet in expensive kennels whilst you travel on holiday. In the unfortunate circumstances that your pet suffers an illness or injury you can phone the relevant AA claims department by calling their telephone number from the list below. Contact the AA on their dedicated life insurance phone number 0370 163 0657 to get a quote for a policy that protects your family’s income during critical illness or after death. If you have already started paying your monthly premiums you may phone this helpline to upgrade your cover or to cancel your policy, however please be aware that you may not be able to receive money back from your paid premiums. Specialist bereavement advisors can be contacted using the phone number below, please ensure that you call the correct helpline according to when your loved one took out an AA life insurance policy. AA travel insurance advisors can be contacted by calling their customer service phone number 0330 100 7702 where you can get a quote to insure against theft on an upcoming holiday, add a destination to an existing policy and to make a claim in the event of a medical expenses. You can also phone this helpline to cancel your policy if you are unable to travel on the dates specified in your contract, however you may have to pay a surcharge for non-medical cancellations. Similarly please submit accurate information when first applying for AA travel insurance particularly if you have pre-existing health conditions otherwise you may not be able to claim if you do not disclose your accurate medical history. Contact the AA by calling their dedicated savings phone number 0345 266 0001 to open a new ISA account, to confirm their APR interest rates which affect the growth of your finances and to check when you can withdraw money as there may be restrictions. You can also call this helpline for details on the benefits available to you if you are an existing AA member. You should note that this phone number is specifically for customers who opened an AA savings account after February 2017, therefore if you opened a savings account before this date please call their alternative contact number 0345 603 6302 for customer service queries. Phone the Automobile Association (AA) on their UK contact number 0345 266 0124 to apply for a personal loan or for car finance to purchase a new vehicle, however be aware that your current credit history will affect how much money you are eligible to borrow. Existing customers can phone this helpline to borrow more on their loan, to change their repayment dates and to find out how to pay off their loan in a single installment. Furthermore you should call this helpline immediately if you are suffering from financial difficulties which are affecting your ability to pay back your loan as they may be able to delay your payment date. If you took out your AA loan prior to November 2015 please examine the table below to get the correct customer service phone number for your enquiries. Phone AA customer services on their credit card contact number 0345 600 5606 to apply for a new card, to compare the rates on their range of cards and to cancel your account once you have paid off any outstanding debts. Moreover you should call this helpline immediately to report your credit card as lost or stolen so that criminals cannot use it to fraudulently access your funds, their friendly UK-based team of advisors will inform you on how you can still withdraw cash whilst you are waiting for your replacement card. Finally if you are uncertain of the charges which apply for balance transfers, cash withdrawals and overseas payments please call this helpline for your updated terms and conditions. Contact AA mortgage advisors by phoning their UK helpline number 0345 300 8000 to manage your repayments, to notify them that you are moving home and to remortgage your current property. You can also phone this helpline to change your direct debit agreement to a different date or to pay off your mortgage earlier than originally specified. Alternatively contact the AA for free on their freephone number 0800 169 6040 to apply for a new mortgage and for details about their special rates for first-time buyers. The AA allows their members to contact their customer service department in several ways, including via their email and postal addresses for formal written enquiries. You may also choose to post public messages on their social media accounts where you will be able to view advertisements for their motoring and financial services. You can write to AA customer services by sending letters to their customer service office which is located at the Cheshire postal address below, please be aware that this address does not accept cheque payments for mortgage and loan repayments. Contact the AA via their customer service email address customersupport@theaa.com for general enquiries about their motoring products including car insurance and breakdown cover. Here you can also ask questions relating to your loan, mortgage and credit card if you are unsure of the rates which affect your usual repayments. As one of the largest breakdown cover providers in the United Kingdom it is unsurprising that the AA utilises social media profiles as a way of advertising their additional products and services. Moreover some of these accounts act as a way for their customers to post public messages and complaints about a particular issue which will then be solved by trained advisors.